BBC Radio 3 has defended a presenter who was described as a "gibbering parakeet" in the House of Commons. 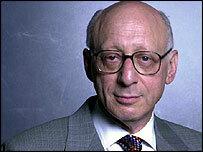 Sir Gerald Kaufman MP attacked morning host Sandy Burnett and the show's "constant chattering and gibbering". He asked the station to "get rid of these awful chatterings and requests for e-mails and other nonsenses". A Radio 3 statement said: "We regard the presenter very highly and we hope that Sir Gerald nonetheless enjoys the music the presenter introduces." Sir Gerald, who made the remarks during a debate on the BBC's future, regularly gave the station his views, the statement said. "[We] are always interested in what he has to say," it said. "Presentation tone and style is a matter of personal taste and we will take note of Sir Gerald's comments along with all of the other feedback that we receive from our listeners. "We are sorry if one particular presenter, singled out by Sir Gerald, does not meet with his approval." Sir Gerald had told the Commons: "There is a presenter, as I understand they have to be called, called Sandy Burnett, who sounds like the gibbering of a demented parakeet." The Labour MP, who chairs the Commons culture committee, told Radio 3 controller Roger Wright the station should be "the most estimable radio channel in the world". 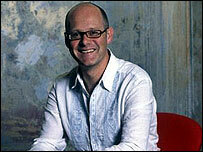 Sandy Burnett, who studied music at Cambridge, presents Morning on 3 from 0700 to 1000 every weekday. He is also a conductor, a jazz bass player and has worked as musical director for the Royal Shakespeare Company and the National Theatre.